This editor is only enabled when the Classic Perspective View is used. 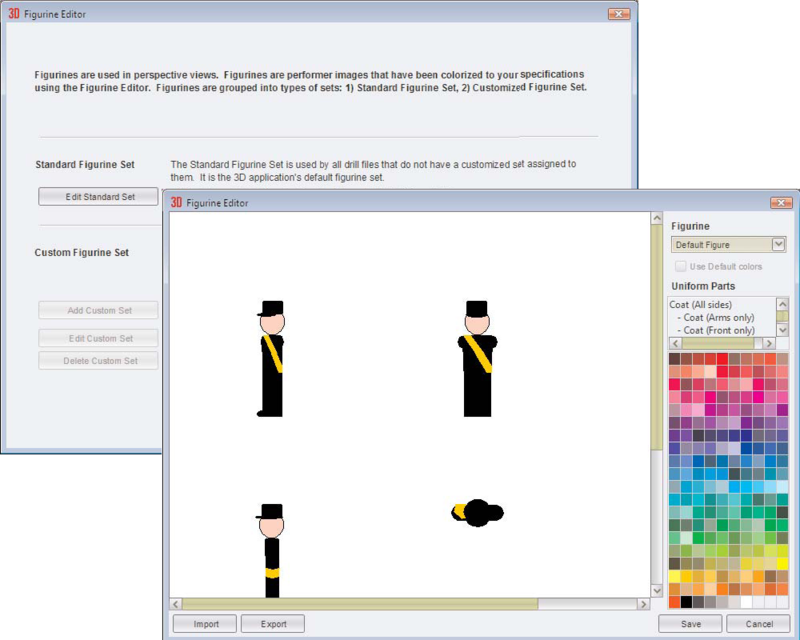 The Figurine Editor is an editor for changing the Figurine uniforms that appear in the Classic Perspective window. When you open the Figurine Editor you can choose to edit the standard set. The Standard Set is used with any file that does not have a custom figurine set assigned to it. The Edit Standard Set button opens the figurine editor window and allows you to change the default figure uniforms. The Add Custom Set button copies the standard set and adds it to the current drill package, then allows you to edit the uniform colors.